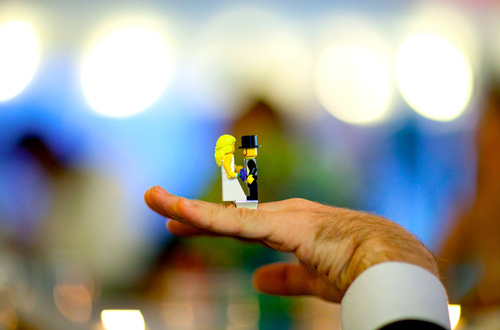 Lego diehards, show your commitment in the truest way possible – with a Lego ring. 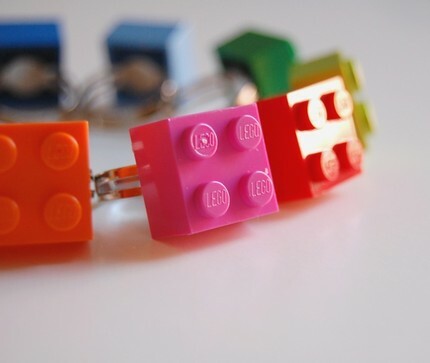 Lego rings, made by Etsy crafter Chocolate Mint Crafts, come in nineteen different colours so your kids (or you) can coordinate one with every outfit. Each ring is adjustable for size and presented in a cool plastic acorn capsule, like those you got from gumball vending machines when you were little. Rings are US$4.50 and are available from Etsy. 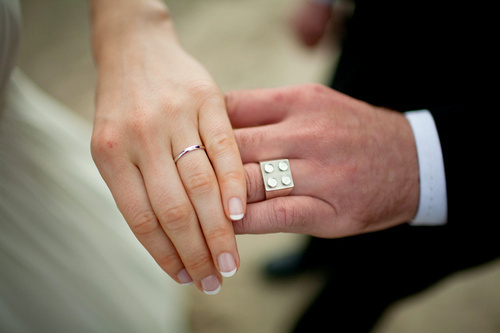 If you want to go one step further, check out the Lego rings below – now that is real commitment! The silver Lego ring is compatible with ordinary Lego bricks so that you can add more bricks or any other Lego pieces to suit your mood. Lots of other Lego treasures can be found here.